Our sincere, most heartfelt gratitude to all our guests for coming from near and far to encourage Varsha on presenting her recital on Jan 6. We are overwhelmed by your kindness, Dhanyavaad! Guru Smt. Radhika Ganesh received her training in Bharatanatyam under Guru ‘Nattuvanga Tilakam’ Madurai Sri T.S. Jayaraman of the renowned Tanjavur school of Sri Kattumannar Koil Muthukumara Pillai. She has performed extensively in India for cultural and charity events, including performances for the King and Queen of Nepal, the World Tamil Conference and represented Madurai at the New Delhi National Dance Conference. Radhika Ganesh is a versatile dancer, teacher and prolific choreographer with over 75 productions to her credit. She heads “Expressions School of Dance” and is committed to training students as well as budding teachers. Surya Ravi received her initial training in Bharatanatyam under Guru Smt. Vidya Krishnan and has continued training under Guru Smt. Radhika Ganesh. She actively performs with Expressions School of Dance as well as in various community events and fund-raising events. Surya is humbled to have had several opportunities to learn from other prominent dance gurus throughout her career. Alongside pursuing dance with a deep passion, she has also taken an interest in teaching and choreography. 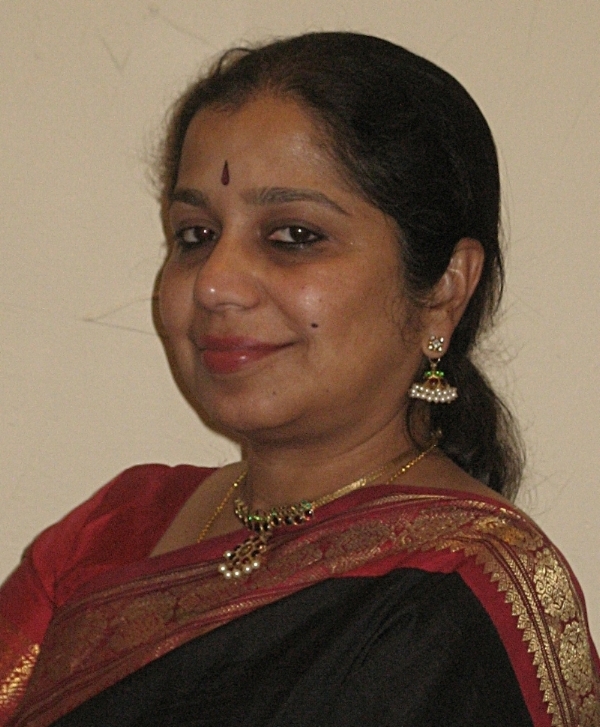 Nandita Padmanabhan is an 'A' grade artist of All India Radio. She is being mentored by music, sanskrit and kannada scholar - Dr TS Sathyavathi. She also learned from Vidushi Madhavi Rajagopalan and Vidushi Nagavalli Nagaraj. Nandita won first prize in prestigious All India Radio music competitions. She received HRD and CCRT scholarship from the Govt of India for advanced training in music. She has performed in several music sabhas across India and US including programs for Doordarshan and All India Radio. She is employed as a Software professional at Cisco Systems here at Dallas. Deepa Sastry, a carnatic classical violinist and vocalist is an All India Radio A grade artist from Bangalore. After receiving early training under her mother Vidushi Rama Krishnamurthy, she is currently a disciple of Vidwan Sri H K Narasimha Murthy and Vidwan Sri H S Sudhindra. She has been performing for over 20 years and has accompanied more than 1000 eminent and upcoming artists in prestigious venues in India and US. A few among many awards are Ananya Nada Jyothi Award, Bangalore 2008, Yuva Pratibhe Karnataka 2003 and, Best Junior Violinist, Indian Fine Arts Society, Chennai 2006. Jay Appaji is a senior mridangam student of Dr. Rohan Krishnamurthy and considers it a rare privilege to accompany his sister Varsha today. He has received training for this Bharatanatyam recital from eminent dance mridangam artist Sri Nagai Sri. P. Sriram of Chennai who is himself well known to Dallas dance audiences. Jay is 2014 Texas Young Master and IndiaRaga Fellow and is also Percussive Arts Society’s national scholar 2013. He has been fortunate to perform with eminent carnatic and world music performers in India and US and is pursuing his undergraduate studies at SMU. Pallavi Mynampati started learning Carnatic flute at the age of 11. Pallavi was very fortunate to learn under the legendary Vidwan Dr. N. Ramani in Chennai during the summers for many years. She continues to learn under the tutelage of Delhi P. Sunder Rajan. She has given solo flute concerts and has performed in duets across the US and India. Pallavi has played for several musical dramas and classical dance performances within the US, performing in Kansas, Montana, California, and Texas. Pallavi currently works in the Healthcare industry in San Diego and is pursuing her Master's degree part-time.